Improve your kiting skills quickly with one-on-one instruction! Lesson season begins on May 26! This one-on-one lesson is designed for anyone who has some experience but would like to get a little more practice with an instructor. Only had one lesson and want some help with safety and kite mechanics? Perfect. Want to learn back rolls, rally to blinds, or any number of crazy-sounding tricks? Perfect. Want to transition from a twintip to a strapless surfboard? Perfect. Long story short, we can help you out regardless of where you're at in your kiting career, so our private lessons are tailored to your specific needs. Our private kiteboarding lessons run for three hours each for sake of maximum progress in one session while still being financially responsible. We've found that anything shorter than three hours and the lesson tends to end when you're just beginning to start to make some serious progress and longer than three hours and most people start to get tired. In our private lessons we feature helmet headsets, which enables your instructor to have constant communication with you the whole time during your lesson. When you're out on the water, this immediate feedback is critical to make corrections while you are riding rather than having to wait for the instruction once you make it back to the beach. Want to share your lesson with a friend? For an extra $50/hr bring a friend along and you can both take turns learning from your instructor. We also have a jetski that is available for private lessons for an additional $50/hr - pretty nice when you need to be towed back to shore. Additional hours can be added to your lesson for $99/hr. You may cancel your lesson or camp up to 10 days prior to the camp for a full refund. We will do our best to reschedule lessons to accommodate yours and the instructor’s schedule. Any cancellations 24 - 48 hours before your lesson will result in no refund. When rescheduling, please remember that we have a limited number of spaces available for each lesson. Any cancellations may result in another potential rider losing their spot for a lesson. Thank you for being in this regard. 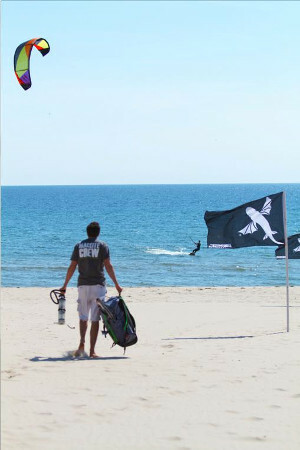 We will cover everything else that you need to know for kiteboarding, such as wind directions and safety, kite setup, and the basics of launching and landing kite, as well as self-rescue. You'll be surprised with just how much you can learn in light wind conditions. In most cases, the wind shows up in time to finish the lesson. We reimburse in the form of in-store credit or refunds in the event we cannot reschedule for any unused portion of your lesson. MACkite has been offering lessons for over 15 seasons and we’re pumped for another season of teaching students the life-changing sport of kiteboarding! We offer all of our summer lessons at the MACshack at 1801 Beach St in Muskegon, which is reserved specifically for our students. Our instructors teach hundreds of students every year on how to ride safely and to learn the undying love of kiteboarding. 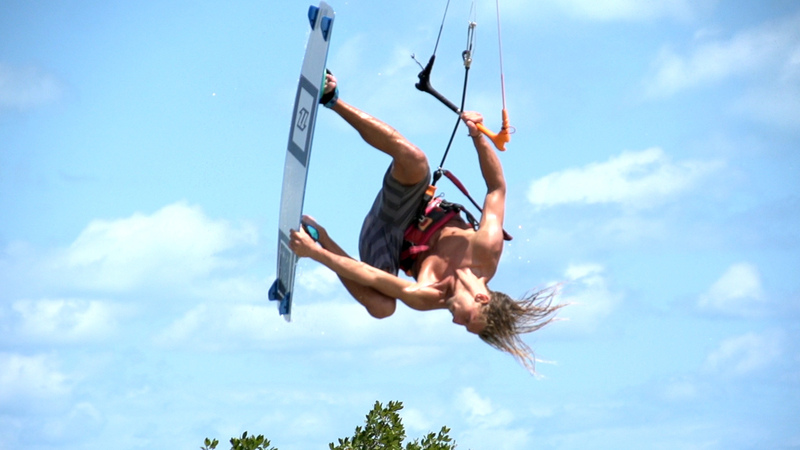 We hook up our students with the latest gear - after all, we are in the business of making kiteboarders!